By the time he was seven, Stephen Kuusisto knew he wanted to be a writer. He was drawn to the rhythm of sounds: the rhythm of words in Robert Frost’s poetry, the rhythm of music in the arias of the great tenor Enrico Caruso. “My job [then] was to keep track of sounds,” said Kuusisto, a native of New Hampshire who is now an assistant professor of creative writing at Ohio State. Kuusisto also remembers bike-riding and bird-watching, activities most people take for granted. Kuusisto, however, has been legally blind since birth. In a time when physical disabilities carried a social stigma, he followed his parents’ lead by denying his condition. Kuusisto’s experiences of trying to pass as a sighted person are documented in his book Planet of the Blind: A Memoir. In it, he writes, “I reflected my mother’s complex bravery and denial and marched everywhere at dizzying speeds.” He would maintain that pace for years, unaccompanied by cane or canine. His need to fit in, and his passion for literature and writing, propelled Kuusisto through college, graduate work at the Iowa Writers’ Workshop, and a Fulbright scholarship to study poetry in Finland. He then returned to his undergraduate alma mater, Hobart and William Smith College in New York, and spent the next seven years teaching. As a young boy, Kuusisto buried his first pair of eyeglasses in the backyard. At age 38, finally able to express his need for help, he trained with an orientation and mobility specialist. “My cane [was] a divining rod,” he writes. A guide dog further expanded his horizons. In the years that followed, Kuusisto and Corky, a yellow Labrador retriever, logged more than 100,000 miles together. In 1995, Kuusisto and Corky returned to Guiding Eyes for the Blind in New York, the nonprofit organization that trained the dog. He became a national spokesperson for the blind and worked as a consultant on disability, helping others with guide animals gain access to New York City taxicabs. 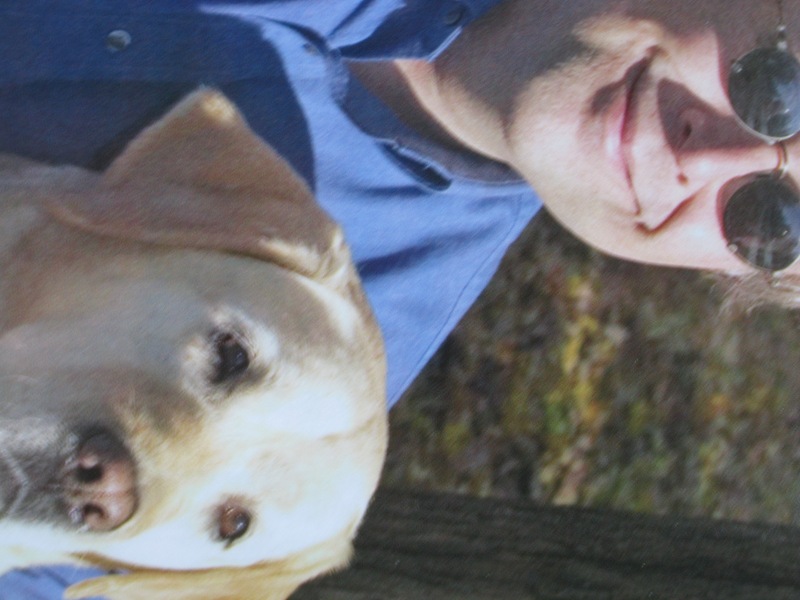 Kuusisto penned his memoir while working at Guiding Eyes. “Writing this book was very gratifying,” he said. The conversations that ensued helped his family understand what he had experienced during his years of trying to pass for a sighted person. “The legally blind know what it is to be old: even before the third grade I am hunched and shaking with effort, always on the verge of tears, seeing by approximation …. I’m a tired kid. It’s preposterous to live as though you can see. Looking back, I can scarcely imagine the energy it took,” he writes. In 2000, Kuusisto accepted a position at Ohio State teaching what he calls creative writing with a social application. When students express concerns about writing about family issues, as Kuusisto did in his memoir, he cautions them not to assign blame. “I tell them they’re doing valuable work for everyone”- family members and readers alike. In addition to creative nonfiction and poetry writing, Kuusisto teaches courses in disabilities studies. “I was attracted to Ohio State because of the university’s interdisciplinary approach” to such studies, he said. Ohio State also has a reputation for providing support services for those with disabilities. This year Kuusisto is teaching a new course, The Disability Experience in the Contemporary World, which examines how the disabled are depicted in films. And he is designing a summer creative writing program for college-bound students with disabilities. “Many young people with disabilities either never attend college at all, or they end up dropping out,” he said. With a 70 percent unemployment rate among the disabled, education is imperative for improving quality of life. Kuusisto also lectures on disability and public policy issues. While in Boston, he spoke with a woman in her late 50s who since losing her sight to diabetes believed it was pointless to travel. “We tend to think solely of the visual treasures travel has to offer,” he said. By sharing his own experiences, he hopes to instill a continuing thirst for adventure in those recently faced with blindness. In his upcoming second memoir, The Art of Listening, Kuusisto writes about navigating the world by sound. Venice, for example, is “a town of exquisite sounds,” he said – music, laughter, conversations in gondolas overheard while standing on a bridge above a canal. While his own adventures no longer include riding a bike solo, Kuusisto does enjoy tandem riding with his wife, Connie. As for Corky, she’s now living a dog’s life in the lap of retirement luxury. When asked if Vidal, his second guide dog, was named after the controversial writer, Kuusisto laughs and replies that like Gore Vidal, Corky’s successor does tend to pull to the left. Pamela J. Willits has written for Enable Magazine, a publication of the American Association of People with Disabilities.